Bagri Foundation and Shorts On Tap is pleased to present Chapter Two of our Tales of the Silk Road series focusing on Lebanon. It will take place on Monday, 25 February at Rich Mix, 35-47 Bethnal Green Rd, London E1 6LA from 7pm. Join us on a thoughtful exploration of Lebanese contemporary culture through film and music. ‘Tales of the Silk Road’ is a new cross-art series of events which started in Autumn 2018 and continues throughout 2019. Presented across multiple venues in London, the events focus not only on the short films and documentaries of specific countries the Middle East, but also on their culture, art and traditions, expanding on the ideas presented through in-conversations with the filmmakers and special guests. View the trailer here. The events are held quarterly in the most vibrant, culturally diverse areas of London: Shoreditch and the West End. The countries featured in the series are Turkey, Lebanon, Syria and Jordan. The second Chapter of the series is an extraordinary programme of works exploring, depicting and deciphering Lebanon through the eyes of its filmmaking talent. Event featuring Q&As with attending filmmakers as part of a panel discussion with special guests and music. Hosted by presenter, writer and producer Nasri Atallah. The films will be followed by an in-conversation with Directors Mounia Akl, Helene Dancer, Marc Hardman, Ethan Jahan, and Lara Zeidan, with guest speaker Dr Claire Louise Launchbury and the evening’s host Nasri Atallah. Event curated by Bagri Foundation & Shorts On Tap. Film screenings start at 7:45pm. Q&A and panel discussion start at 9:45pm. The show ends approximately at 11pm. The Oak Tree, 23mins, 2018, Directed by Ethan Jahan. In a peaceful village in the mountains of Lebanon, Fadel makes a living from crafting canes for the elderly villagers. After a client places an order, he heads to the forest and finds the perfect branch on an isolated oak tree. However, it is not yet ready to cut so he marks it with a scarf and decides to return later. After a few weeks, he returns to discover that the oak tree has been turned into a religious shrine for the villagers. Intrigued and confused, Fadel remains determined to cut the branch and deliver the cane to his client. Will he get his branch or will the villagers stand in his way? Under the imminent threat of Lebanon’s garbage crisis, Hala, a wild child, is the only one to refuse evacuation, clinging to whatever remains of home. As family and friends give up hope and leave, Hala remains attached to the memories of the town as it once was. Desperate to escape Lebanon and settle in Europe, Lillo buys himself a Syrian passport and prepares to appropriate the Syrian identity. What he’s not ready for is everything that comes with being a Syrian refugee. Said is doing his first night of duty as a security guard under the bridge in the middle of Beirut. With only a walkie-talkie and a torch, he is trying to take his job seriously. At sunrise, the city will have crushed him. In Lebanon, a country where the LGBTQ community still faces extreme discrimination, a scene is emerging that celebrates the identity, flamboyance and passion of its queer community. It’s voguing, a dance style created in New York City in the 80s to create a safe space for LGBTQ people. 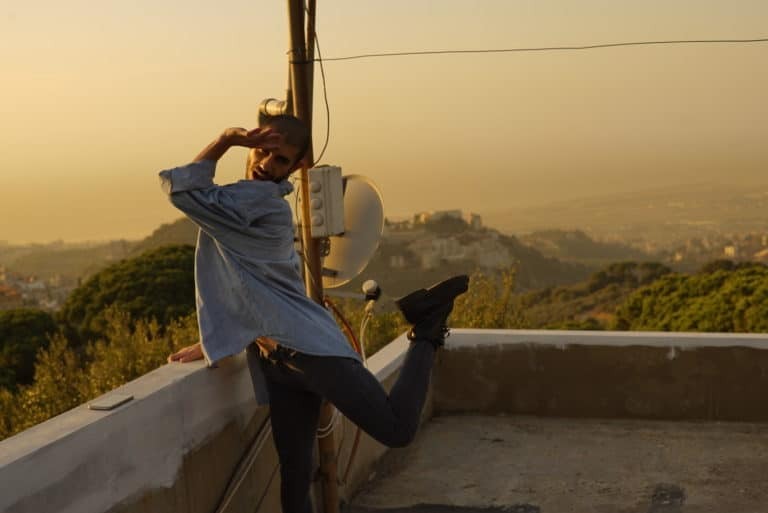 We meet dancer Hoedy Saad in Beirut to discover how, in the face of adversity, he’s building a vogue scene in the Middle East to fight for freedom.